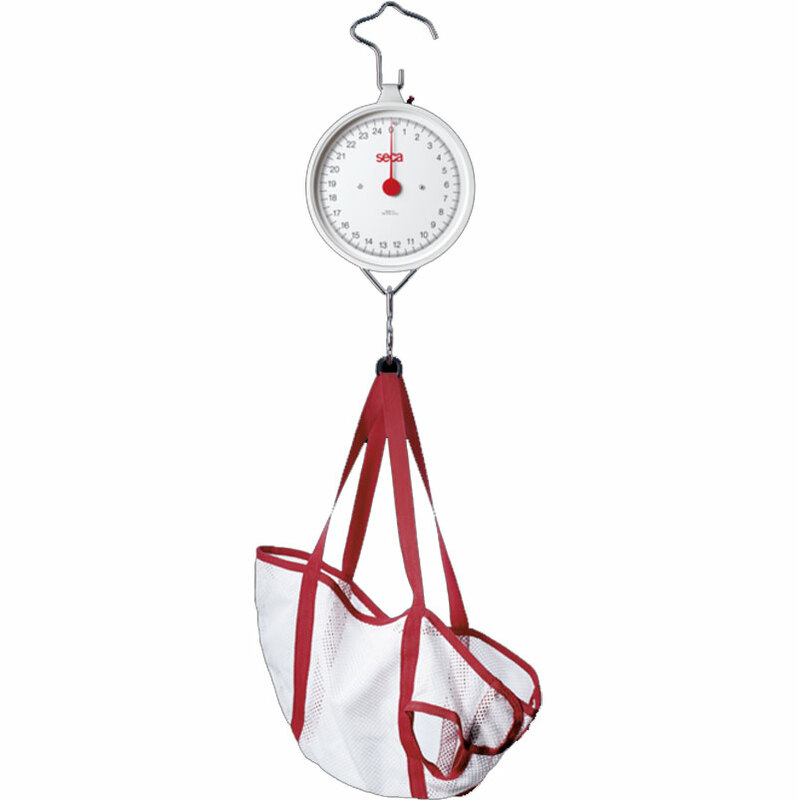 Tough and reliable, the Seca 310 Hanging Scale has been designed especially for work in areas where there is no access to hospitals and baby clinics. Weighing just over one kilo, with shatter-proof glass dial, corrosion-resistant metal casing and internal parts and robust mechanics, it is ideal for use anywhere in the world. The Seca 310 has a fine graduation of either 50g with a capacity of up to 25kg. The suspension hooks are made of galvanized steel and are extremely durable and safe. One sling seat Seca 410 is included in the basic equipment delivered with the circular dial scales Seca 310. Measurements (W x H x D): 220 x 225 x 52mm. Function: Mobile measuring and weighing, Reset-to-zero function.